The motto of Tactical Supply Flight in Royal Air Force Germany in the early 1970’s was ‘First In – Last Out’. This small section of RAF supply personnel was formed to provide full logistic support to the 3 squadrons of Harrier jump jets based in Germany which, on exercise or in war, operated in the countryside, within a short distance of the forward edge of the battle area providing a plethora of support and mobile infrastructure ahead of the aircraft and aircrew’s arrival. However, ‘first in’ could easily have been applied to other supporting units too. The Royal Engineers constructed mobile runways, taxi areas and revetments for portable fuel tanks and explosive storage; the Royal Corps of Signals provided long and short range communications; the Territorial Army of the Royal Corps of Transport (now Royal Logistic Corps) provided railway specialists to assist in the move of hundreds of weapons; the provost branches of the Royal Military and RAF Police provided liaison teams for convoy support; RAF Field Catering fed us; RAF Light Aid Detachments kept our vehicles serviceable; the RAF Medical Branch kept us healthy; RAF Engineers set up the flying sites – so we few in tactical supply were not exactly alone as we deployed, some days ahead of the fast jet strike force. And this is just a microcosm of the logistic infrastructure required today to support Her Majesty’s Government (HMG) policy for HM Forces to operate world wide in an expeditionary capacity. In 1970 the operation of forces in Germany was primarily predicated on a 30 day war, in-theatre assets and surface movement. Today, with a world wide role, longer term three dimensional thinking is required – sea, air and ground with more emphasis on sustainment, recuperation and regeneration. To put this in context it is instructive to consider the utility of HMG’s plans for Future Force 20/20 (FF2020). 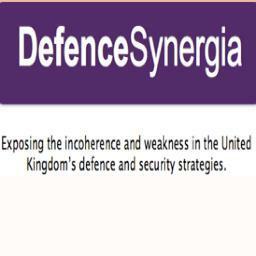 Although the National Security Strategy (NSS) postulates the need for ‘force projection’ the briefings emanating from the Ministry of Defence (MoD) tend more to point up the humanitarian and conflict prevention aspects of future UK foreign policy. This may be subliminal given that as the army reduces in numbers so do the force enablers – strategic maritime and air – that are needed to carry them on expeditionary operations. One major consequence of this policy is that only a fraction of the FF2020 army and its impedimenta could be carried in one lift – probably no more than a single brigade. However, as blinkered as this mismatch between NSS assumptions for ‘force projection’ and the reality might seem, there are also real-time effects and restrictions on the ability of HM Forces to assist with the hot topic of emergency humanitarian aid. So, as the number of strategic maritime and air enablers reduce, HMG’s ability to respond to humanitarian crises diminishes too. As the current humanitarian crisis developing in the South China Sea region demonstrates, UK’s response to the humanitarian crisis in the Philippines is to redeploying just one Type 45 destroyer from Singapore and to allocate a single C17 Globe Master strategic air transport. And whilst the activation of the Department for International Development’s (DfID) Rapid Response Facility (RRF) is welcome one may wonder what more could be done with some joined up government thinking. According to the DfID web site the RRF taps into the expertise of pre-approved humanitarian organisations through which it channels money and emergency life preserving resources. The latter consisting of important but mundane items such as plastic sheeting and household items like kitchen sets and blankets from the UK’s stockpile of humanitarian items. All of the above and much more besides also forming the basic requirements of military units deploying to bare-base facilities overseas. The essential requirements of a military force in the field – mobile accommodation, medical facilities, catering and rations, water purification systems, ablutions, power generation, tool kits, communications and administration – not just mirroring but exceeding the basic needs of unfortunates caught up in the aftermath of a tsunami or typhoon. The symbiotic utility of these military resources in both force projection and humanitarian aid situations seeming to be self evident. However, as the restricted UK response to a clearly escalating humanitarian disaster in the Philippines demonstrates – notwithstanding other international support – without in-place ‘strategic logistic enablers’ DfID’s capacity and reach is limited. Therefore, as the immediate emergency requirements of DfID do not differ over much from those of MoD in a force projection scenario why not cooperate together and joint fund strategic transports and resources that offer mutual support in response to UK foreign policy. Sadly, at the moment, it seems that these functions are operating in ‘stove pipes’ thus creating duplication of resource and financial outlay. In the view of some analysts, unnecessarily diverting government funding from MoD to DfID. Therefore, what if DfID and MoD cooperated by co-funding and operating 3 additional Royal Fleet Auxiliary (RFA) support ships geared to providing a divisional size force (20,000 personnel) with pre-packed deployment and emergency stores (including a support helicopter flight) and with an additional C17 Globe Master for rapid deployment. Both DfID and the MoD would benefit, as would HMG more broadly, by enhancing the ability of UK to meet its wider UK foreign policy objectives. Furthermore, if these new ships were to be based on established Landing Platform designs they could be built in the UK providing HM Forces and DfID with much needed joint expeditionary/humanitarian capability and capacity whilst at the same time demonstrating through action that shipbuilding in the UK is a national priority. My colleagues in DefenceSynergia wonder how much more cohesive, holistic and cost effective such national decisions could be if UK foreign policy was based on an articulated strategic narrative. The logic of such a strategy also leading to central government reform. As a start point, by removing the anachronistic and artificial divide in UK international affairs through the amalgamation of MoD and DfID within a more aptly renamed Foreign and Commonwealth Office – a ministry for International Security, Trade and Cooperation perhaps? Joined up government working to a 21st century focused ‘Grand Strategy’ based around British core values; now there’s a thing!